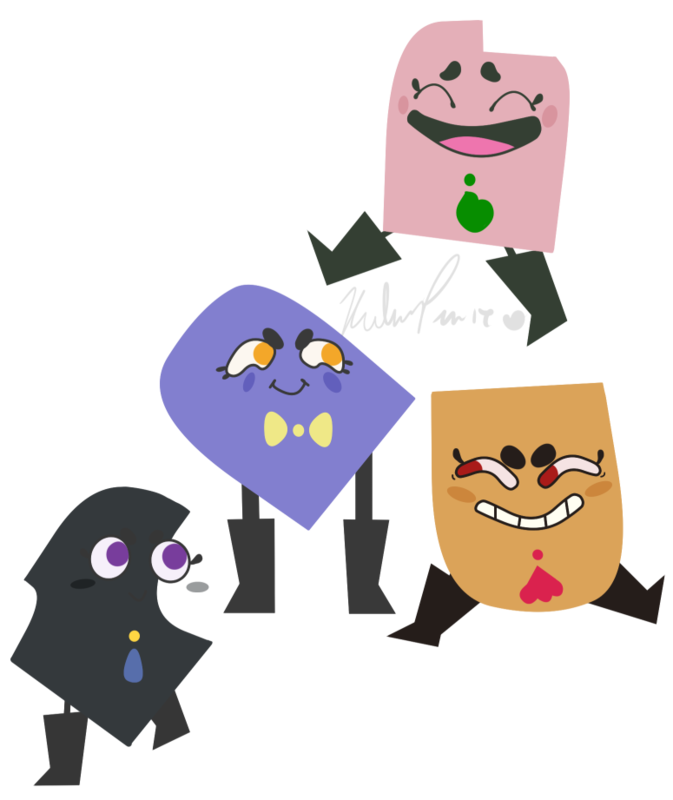 Adiva, Shang, Meigan, and Kami but in the style of Snipperclips. Ooooo do you have the game? I have it and love the puzzle game. I don't! I'm hoping to be able to get a Switch sometime...I can't really make the money for one atm but my birthday's coming in a few months so maybe I'll get it. This is def on my list of games to get, though, watched someone play it-it's hilarious. Right? They make me laugh so much. It will probably be one of the games i get with my Switch next to Bomber Man R and Breath Of The Wild :) but i agree, there hilarious. Same, I def need to get it so I can play it with my friend-it'd be so great.